Online marketplace for automobiles Droom Technology Pvt. Ltd has raised $20 million in a Series C round led by Integrated Asset Management (Asia) Ltd and Digital Garage Inc, the company said in a statement. Existing investors Lightbox India Advisors Pvt. Ltd and Beenos Asia Pte. Ltd, as well as institutional investors and family offices from China, Hong Kong and Taiwan have also participated in this round. Integrated Asset Management is a subsidiary of a Hong Kong-based private investment firm having interests in private debt, buyouts, venture capital, listed securities and real estate. According to a company statement, the new capital will be used to build its tech platform and beef up its presence in the market, besides facilitating greater adoption of its ecosystem tools, including History, ECO, OBV and Credit. 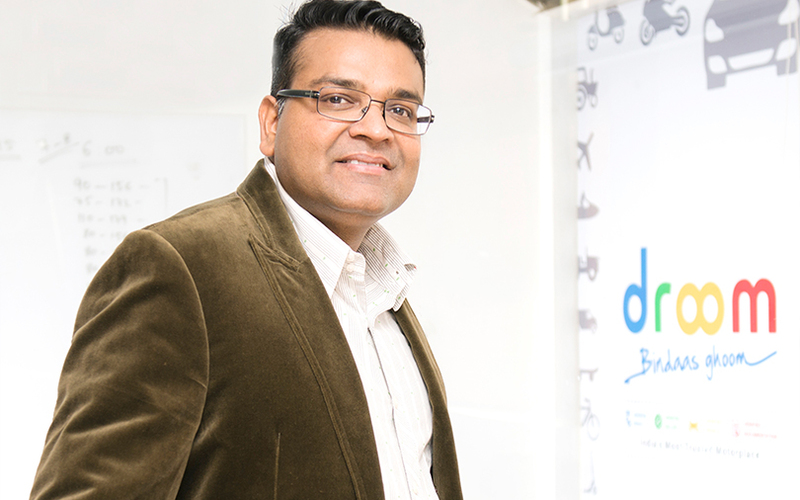 “The fresh capital infusion into our war chest will once and for all give us an unchallenged competitive edge, not just in the online automobile space, but also in the e-commerce landscape at large,” said Droom’s founder Sandeep Aggarwal. Since its launch in April 2014, Droom has raised $65 million of external funding. In July 2016, it had raised an undisclosed amount in a Series B round from venture capital fund Beenext, Japanese internet company Digital Garage, Lightbox and Beenos, besides others. The company claims $554 million in annualised gross merchandise volume, growing at 350% year-on-year. It also claims to have over 159,000 auto dealers on its platform. In the online used automobiles selling space, Droom competes with Truebil, Zoomo, CarDekho (which had acquired Gaadi.com), Carwale and CarTrade. Horizontal people-to-people platforms, such as OLX and Quikr, too, share the same space. According to Aggarwal, Droom has a 65% share of all transactions in the online used automobile market. The company has also set aside $8-10 million for possible all-cash acquisitions, and is betting big on its credit services to achieve profitability. “Going ahead, Droom Credit will contribute higher than any other vertical in terms of revenue. Within two years, we would like to see about one-third of Droom as a fintech company. The vertical is in its second month now, and we already have more than one dozen NBFCs and banks working with us, generating more than 10,000 leads,” Aggarwal added. Aggarwal had earlier launched online marketplace ShopClues, which was backed by Beenos. He has also been investing in other startups, such as mobile wholesale marketplace Wydr and Shopsity, which connects offline retailers to customers.